In this game you will sink into the wild west. Play a mini golf and enjoy the time you have spend here. Just choose the right direction and push the ball! Control it's power and reach your goal as better as you can. Have a lot of fun! 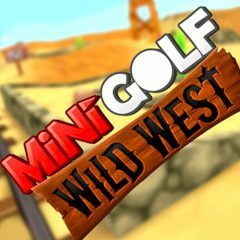 Would you like to be the most exciting golf player in the wild west? Then this game is for you! Just use the mouse and push a ball to the hole! There are a lot of challenging levels that you have to complete. Here you start with some basic puts to get the hang of the game but soon move on to more challenging mini golf holes, do you think it is so easy? By the way, watch out for holes in the course, barrels, and spinning obstacles and crazy gaps here. Are you ready? Then go ahead! Be the best player here!